Simon Law was part of a Parkway triples team that won a national title at Leamington. City bowlers James Harford, Simon Law and Stuart Popple have won the Bowls England men’s national triples title at Leamington. The Parkway trio defeated Leicester’s Ken Frost, Roger Cooper and Shane Hayes 16-10 in the final yesterday (August 22) and will now represent England in next year’s British Isles championships. It’s a first national title for the Parkway club, and it was fourth time lucky for Popple, husband of former England international Catherine, having been a beaten finalist in the junior singles, pairs and mixed pairs. 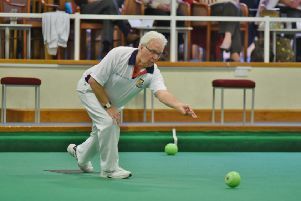 More details in Thursday’s (August 27) bowls round-up in the Peterborough Telegraph.